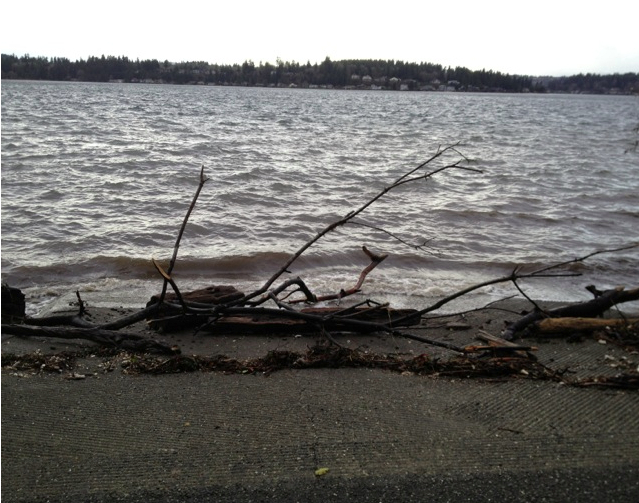 Bolstered by a low-pressure weather system, yesterday’s “King Tide” was felt throughout Puget Sound. At its extreme, the high tide came within 0.01 feet of breaking the all-time tidal record set for Seattle on Jan. 27, 1983. I especially liked Jim Groh’s photos of the Poulsbo waterfront. 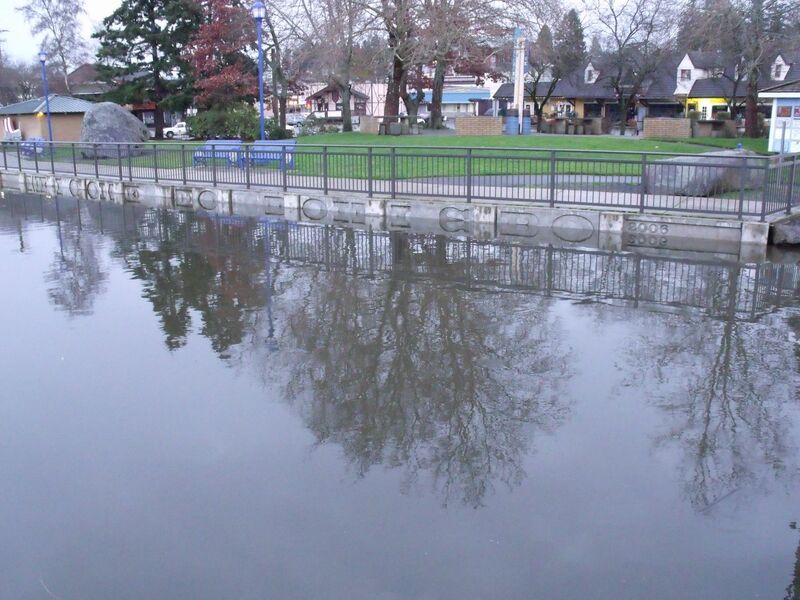 Take a close look at the picture taken yesterday (below) and compare it to the one in Sunday’s Water Ways entry, which shows last year’s King Tide. 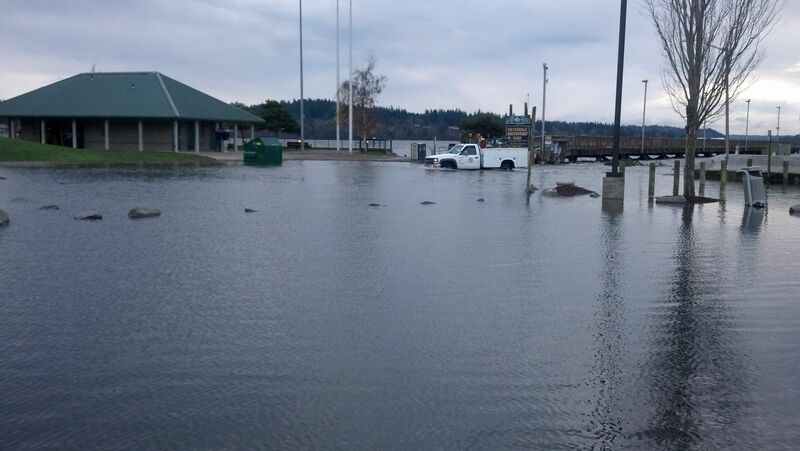 If the word “Poulsbo” doesn’t look right in the picture below, it’s because the bottom half of the letters are under water. This week’s King Tides are declining, but they are expected to be high again starting Jan. 14.